Do YOU have an awesome idea that you want to put on paper for others to read? Well, not technically paper, but put into cyberspace that people all over the country – and even all over the globe – can benefit from? Have you thought that you might want to start a blog, but not really known how or where to start? has kept a binder full of all of our business idea startups and it is FULL. But, the idea of starting a blog to capture our flea market flipping adventures was not exactly my idea. I can't take the full credit for this one. Melissa was on Facebook one day in the summer of 2015 and noticed a post by our friend Caitlin Pyle. The post was something along the lines of her and her husband Ben creating a blog and online course and making almost $300,000 in the first few months!!! This definitely got my attention. I called Ben up right away and said “Dude! What in the world is going on? 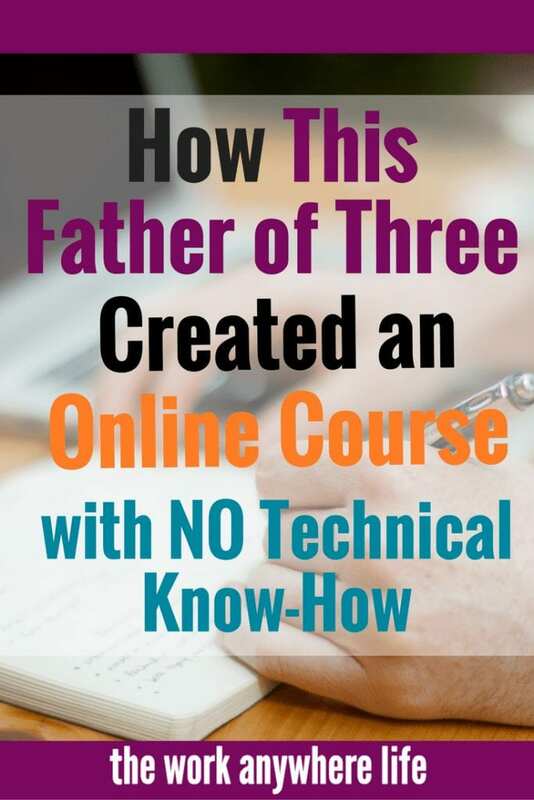 !” He proceeded to tell me about their blog and online course sales and that they would be opening a course to show people how they did it. I told him we were definitely in! So that was our start. We took The Work Anywhere Life online course with Ben and Caitlin Pyle. I asked Ben if he would answer a few questions for us about their course and HERE is the link to that interview. 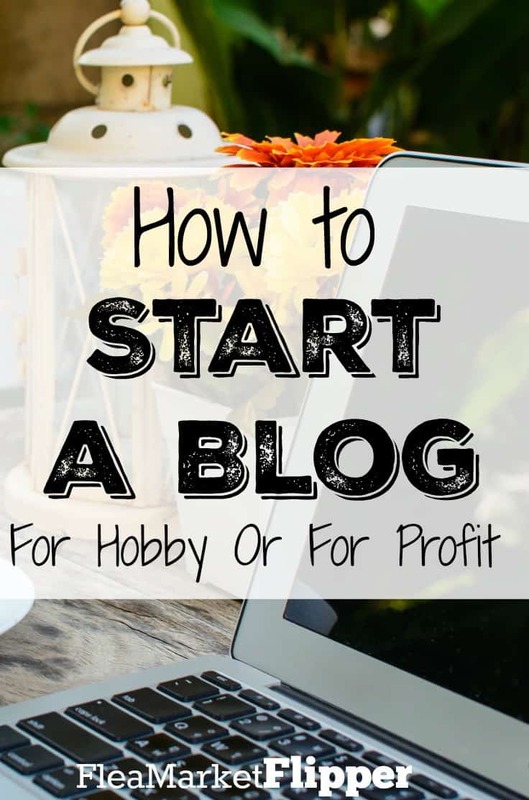 If you have been thinking about getting started with a blog, THIS is definitely a great place to start!! We learned SO MUCH! AFFILIATE LINKS MAY BE USED IN THIS POST. PLEASE SEE OUR FULL DISCLAIMER FOR INFORMATION. To search domain names and see if the one you want is available check HERE. This link is also good for 30% off if you decide to go ahead and purchase your new blog name. After your domain, you will need a web host. This hosts your site and domain. We have used both Host Gator and Go Daddy for a few of our blogs and preferred GoDaddy until recently. We had a technical friend help us with our site speed and we changed over our host to GreenGeeks since he said they would help with speed. They have a chat box for customer service which is a huge benefit for us (because remember technical stuff is not our strong suit). Since we are not very tech savvy, the web host's customer service needs to be great and able to help us through things in a language that we understand. GreenGeeks's set up is straightforward and easy to use, and their customer service is great. Also our page load time has dramatically improved! Check them out HERE to get your hosting set up once you have your domain name. We have used WordPress for all three of our blogs over the years and have been really happy with them. Gone are the days that you need to understand code in order to get your blog functioning. You have a lot of freedom and also a lot of support using WordPress. I highly recommend them. Once you install WordPress you will need to pick a theme. Some are paid and some are free. You just have to decide what look you want for your site. We use Avada theme by Envato for this blog, and Chic theme (also by Envato, but I believe is discontinued for the moment) for our Maximalist to Minimalist blog. We love the simple look of Chic for that blog and like all the options that Avada gives us for Flea Market Flipper. Your theme will really depend on what function you want for your blog. If it is a website for a business, something like Avada is excellent, or if you just need a blogroll and a few minimal extras, I would go with a really simple theme like Chic. Another one I love for a blog is Divi by Elegant Themes. I love how user friendly it is, and I know SO MANY bloggers now who use this theme! If I were to start another blog, I probably would use this theme. Check a couple of them out though and see which ones fit your style and your blog look. Once you have your domain, host, and theme, you can start writing! Some themes will take you a little longer to get set up how you want them, but most themes and WordPress have great support groups. Also YouTube and Google are invaluable resources! Already Have A Blog And Ready to Grow It? Do you already have a blog? Already have a brand? I would love to share with you some of the tools that have helped us on this journey to become ‘professional bloggers'. I use this term because Melissa had blogged on her health site for years without ever knowing about these tools. She would post recipes and fitness tips for her clients and anyone else who was interested. She really kicks herself for not knowing then what she knows now about monetizing a blog. You really can turn your passion into an income! Facebook as a primary driver for their blog because of the algorithm changes over the years. And, I have to admit that it is a lot more difficult to break into people's newsfeeds these days. So that is why we recently purchased the Strategies Worth Sharing e-book and workbook from Brittany Ann. 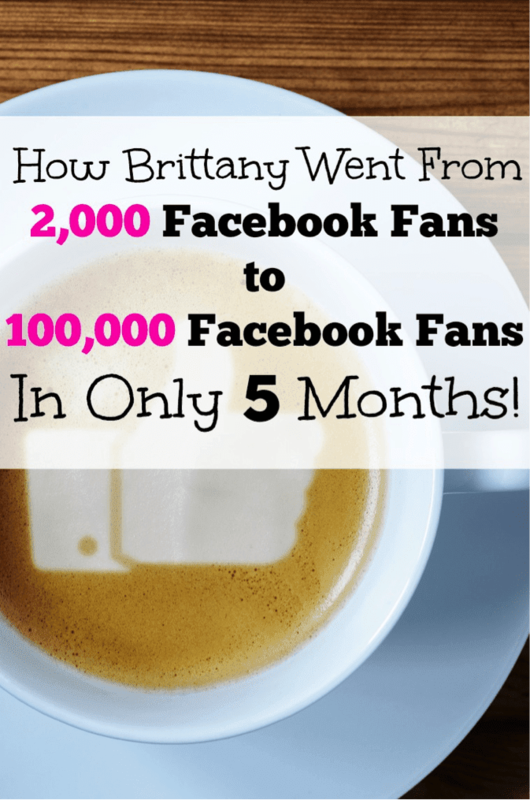 She grew her Facebook traffic from 2,000 followers to 100,000 followers in 5 months time!! That was without paid reach too! This book has been awesome so far. We just finished the e-book, and are about to dive into the workbook. I can't give you our results yet, but I will change this post in a few months to update you on our followers status. So far we have learned a lot from this book and are excited to put some of these strategies into practice to grow our audience! 🙂 Check out more details of Brittany Ann's e-book HERE. Pinterest is our NUMBER ONE source of blog traffic right now on both blogs. It gets us 85% of our page views on Flea Market Flipper, which totals about 700-1,000 per day! Do not overlook it, it's a very powerful tool. Group Boards are where it’s at to grow your following. Check out Caroline’s Group Board Mastery course to help grow your Pinterest account. Getting on group boards helped us grow FAST on Flea Market Flipper, and we are about to do the same thing for this blog. Scheduling our pins with BoardBooster last year was a game changer for us. You set up how many pins you want scheduled to go to which boards per day and it's done. It takes less than an hour per week to manage and we grew SO MUCH with the use of BoardBooster. I wish I had the exact numbers of our growth, but it was a crazy amount in a short amount of time. There is another popular scheduler out there called Tailwind. We never used it and probably won't for now. We saw a great improvement with BoardBooster and now are doing half BoardBooster and half manual pinning (below). The first tool we want to share with you is our e-mail marketing system, Aweber. There are several e-mail marketing tools out there. The three we were deciding between were Aweber, Mailchimp and ConvertKit. At first we started with Mailchimp, but had a difficult time trying to set it up how we wanted to, so we opted for Aweber. We have been happy with it so far. In the future, when we reach the next level of blogging professionals, we may convert to ConvertKit. (see what I did there? ;)) But it is a lot more expensive, so for now we really like Aweber for what we need. We can create many different lists for people to be added to. We can create really nice professional e-mails, as elaborate or simple as we want. We can integrate it with many other programs like LeadPages and SendOwl as an example (we love both of those). And we can control who gets to see what email by separating lists and excluding or including certain ones. They also have some great resources to learn how to use it, and their customer service is very responsive. (This is SUPER important to us since we are not very tech savvy as I have mentioned before.) Check out their service HERE. The next tool we started using was LeadPages. This is a place that you can create landing pages for people to visit in order to opt into your e-mail list, enroll in a webinar, get information about your book, and so much more. They make it easy to use (if it wasn't fairly easy, I couldn't do it), and have a great team to provide assistance. They have so many informational webinars and videos. Check them out HERE to see all the great things you can do for your site. This was one of the first tools that we got and I am very glad that we did. I had no idea what a Lead Magnet was before we started using LeadPages. The lead magnets we have created over the last year have been the biggest reason people opt in to our list! So glad that we learned about them! Have a product or service you would like to sell from your website or blog? SendOwl is a FANTASTIC resource to use. It is probably the simplest tool we have used to date. Simple is SO GREAT when you really are technologically challenged and have to watch YouTube videos to learn how to do everything blog related. Our biggest income from Flea Market Flipper are our two e-books hosted on SendOwl and it's awesome. We just set it up initially, they take care of the payment gateway and send the people the books that they ordered. The money then goes directly to our PayPal account. It's pretty sweet! Everything is clean and professional too. I love it. And you can try it for 3o days for FREE! Check it out HERE. We knew nothing about this affiliate word until recently. Well, I take that back. 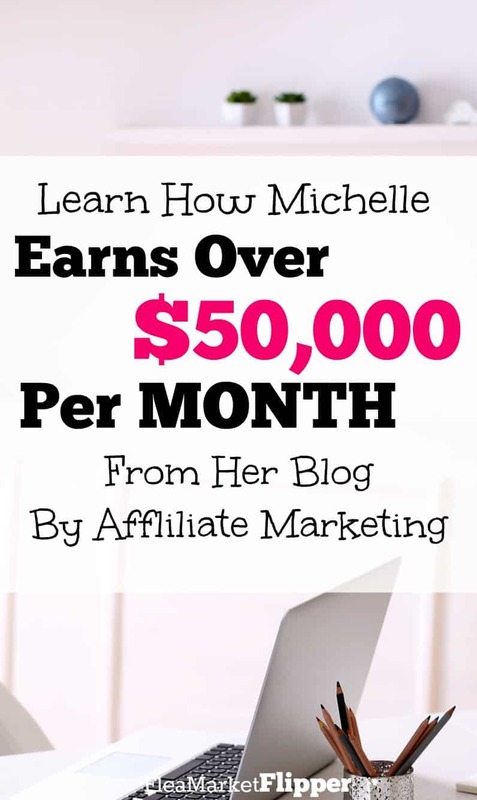 We had an understanding of it because we were reaching out to bloggers to be affiliates for our e-course, but really had no idea of the unlimited possibilities of affiliate income from so many various places. Let me explain. Affiliates are people that partner with other people or companies, promote their products to their audience and get commissions for it. It is basically word of mouth advertising. We all do this on a daily basis with places we recommend; such as restaurants, nail salons, or even services that are provided such as carpet cleaners or plumbers. The only difference with affiliate marketing is you get paid for your recommendations! Some people might be hesitant to take a paid recommendation, but most bloggers or social media gurus use integrity when doing so. At least the ones that I know and like. The people with integrity are the ones that will last. We didn't realize this income resource until we met Michelle Shroeder-Gardner of Making Sense of Sense. She started blogging and using affiliate links in her posts and has made over 6 figures from her blog in the past several years. In fact, in 2016 she made $979,000 from her blog!!! WHAT!!!! Holy cow! She created a course called Making Sense of Affiliate Marketing last year to teach others how to earn this affiliate income, and has a Facebook group attached to it that might just be my favorite Facebook group that I am in! It is SO helpful. SO many great bloggers from all different levels giving their feedback and helping each other out. If I didn't even take the course I would probably still pay the same amount to be able to access that group! It's that great of a resource for us. We did an interview with Michelle that you can check out HERE! Actually ACHIEVE the Goals You Set! If you have big dreams and goals but for some reason you are not hitting them time and time again, then you need to check out this course! Our friends at The Work Anywhere Life, Ben and Caitlin Pyle (that we mentioned earlier), have created a brand that has made over $1.7 MILLION in the past 2 years. We probably wouldn’t have believed it if we weren’t real-life friends with them for several years before they broke through barriers and became internet millionaires! They know their stuff and can be super helpful resources to help guide you to finally break through your roadblocks and HIT THOSE GOALS! These two are the reason that this blog Flea Market Flipper and now Maximalist to Minimalist even exist. Caitlin even helped with our Flea Market Flipper name! 🙂 Seriously – check them out! We are featured on the blog too! So, How Much Does Having A Blog Actually Cost? This is a hard question to get a definitive answer to because as you have seen above, there are so many tools you could potentially use. Technically you only need the domain name and the web hosting to get started, and that would run you approximately $140 for the year or $12 per month. Not much investment for a hobby. But if you are looking at it from a business/potential income source, then you should expect to pay a little more. We have read/taken/purchased the above books, resources, and courses over the past year and a half. It wasn’t a lump sum, but it was small investments over time. And for a business these costs are still very minimal to get going. Blogging has taken a lot of learning and time over the past year and a half, but it has been completely worth it. It’s something we can work on at night after the kids go to bed, and already it has had a great payoff. We have also met some fantastic human beings through this venture and are so excited about the upcoming year with our trip across the United States in our 5th Wheel! After reading this, are you excited? Overwhelmed? Scared? Ready to get moving? We would love to hear from you in the comments below! If you decide to jump in, welcome to the world of blogging! You will be so glad you did!